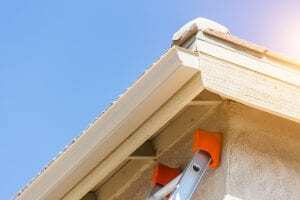 Finding a reputable contractor to install gutters on your home doesn’t have to be a challenging task. Not when there is a company like 31-W Insulation serving your area. Since our founding in 1972, our stellar workmanship and top-notch products have made us one of the top gutter contractors in the Indianapolis area. We have helped countless homeowners improve their home’s functionality with cost-effective seamless gutter systems, and we welcome the opportunity to do the same for you. After you reach out to us, we will schedule a complimentary at-home consultation at a time that works best for you. We will discuss your needs and budget, and walk you through all of your options. Our gutter options include more than 20 visually striking colors to help you complement your home’s exterior. Additionally, our seamless gutters are compatible with Armour Screen® gutter guards to keep your system from being clogged by leaves and other debris. They are built from durable aluminum alloy to provide you with decades of dependable performance. Only our highly trained employees will install your new gutters to ensure our stringent workmanships standards are upheld. Our systems are free of unsightly seams and splices, and will present a smooth, unblemished appearance that won’t detract from your home’s curb appeal. Maintenance will be minimal since our gutters lack the seams that tend to trap debris. Also, you will have peace of mind knowing that your new gutters are backed by a limited 20-year manufacturer’s warranty. Want more reasons why we are the leaders among gutter contractors in the Indianapolis area? Contact 31-W Insulation today to schedule a consultation.